That last few weeks there has been a lot of buzz on the new Earthquaker Devices pedal coming out. Pedal releases are always fun, and especially from EQD… I’m always interested. There has been a lot of leaks and speculation on this, so it’s great to final see what the release is! Earthquaker Devices officially released the Aqueduct Vibrato, but in classic Earthquaker style, it’s their ability to spice things up. Like I’ve said in the past, you can always tell an Earthquaker pedal. They have their style, and to me, that style always provides a certain level of creativity and inspiration. You play something like this, you begin to write. Simple as that. Earthquaker Devices Aqueduct Vibrato is a vibrato, but adds 8 different modulation modes to create warping and imperfections, etc. You can see what I mean. I also like the ability to create some interesting sounds, while maintaining that small footprint. Again… another great job from Earthquaker. 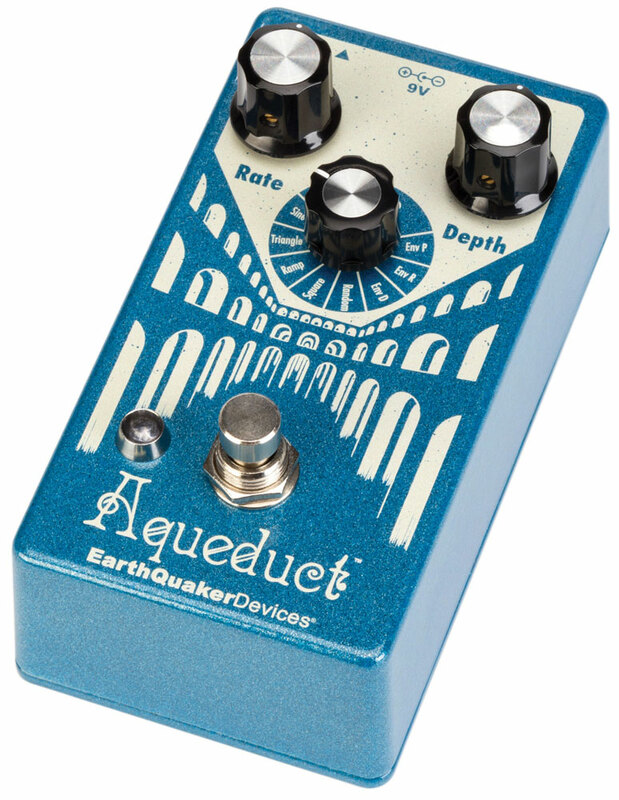 If you’re interested in the Earthquaker Devices Aqueduct Vibrato, you can pick one up at Amazon.com for $199 and includes free shipping! Let me know what you think about the Earthquaker Devices Aqueduct Vibrato by commenting below!